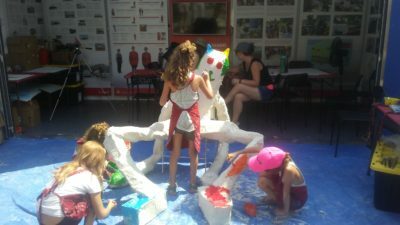 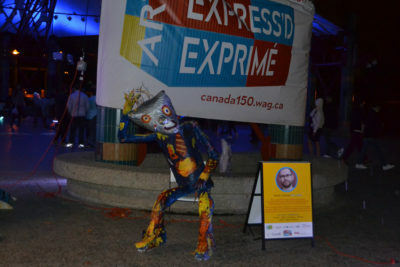 Art Express’d/ Art Exprimé was a cross-country free collaborative community art project launched by the Winnipeg Art Gallery to mark 150 years since Canada’s confederation. 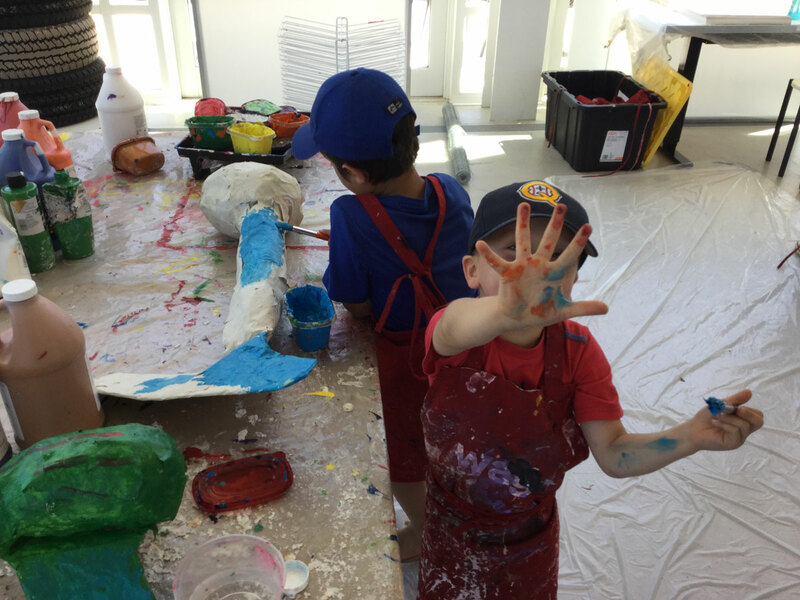 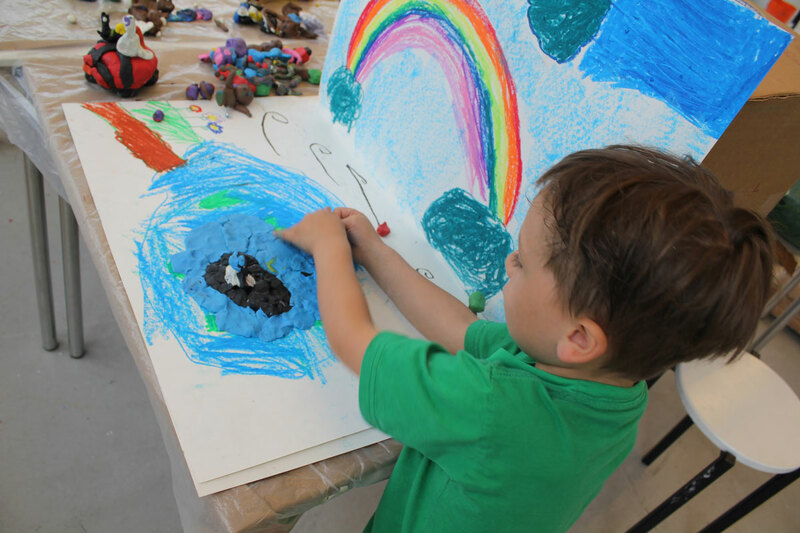 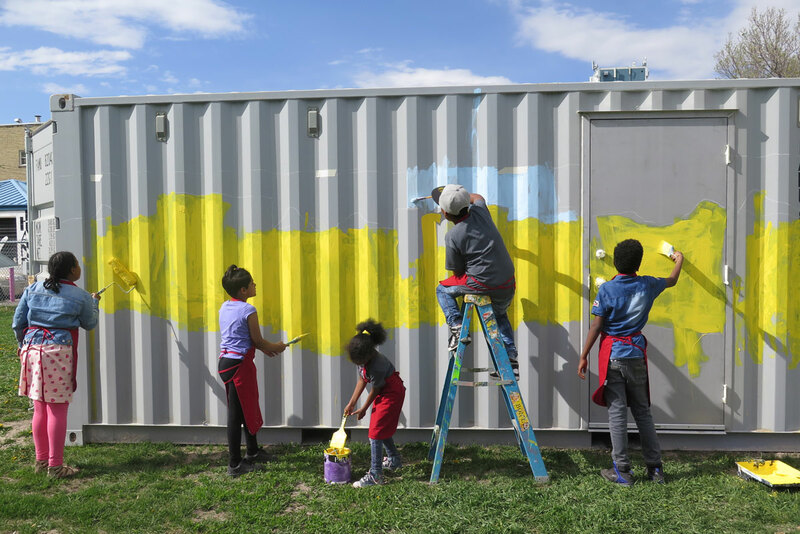 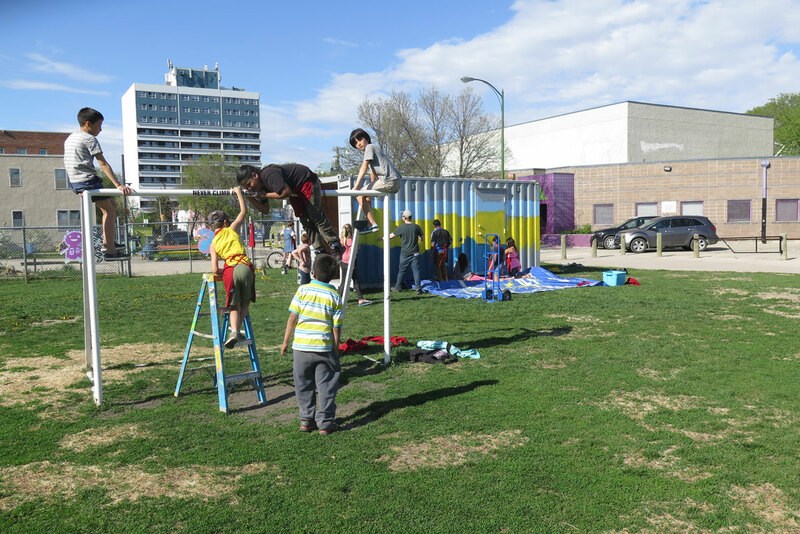 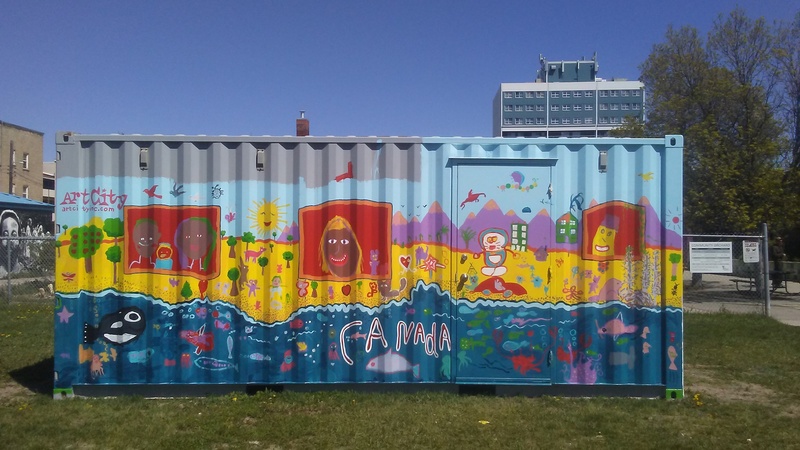 Three shipping containers left Winnipeg each with an artist facilitating workshops beginning on each oceanic coast bordering Canada. 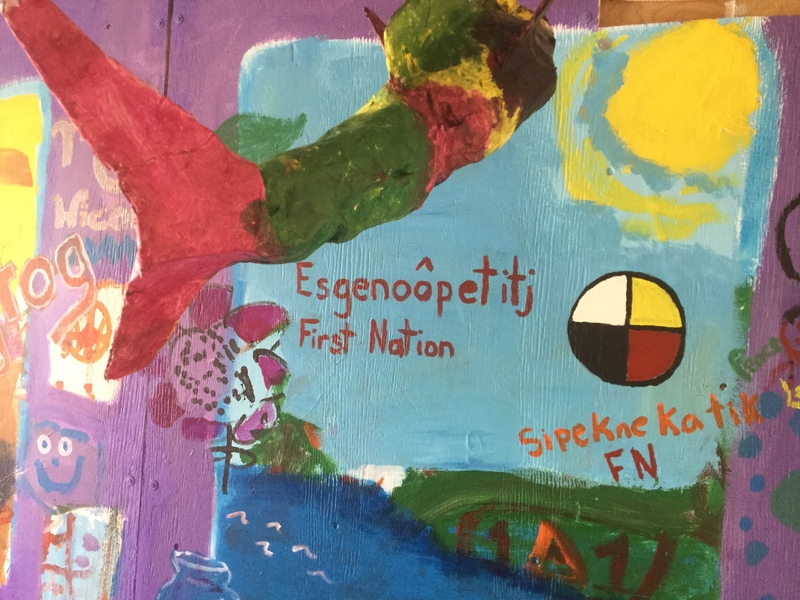 We commenced on the East Coast then travelled west to Winnipeg visiting diverse communities along the way. 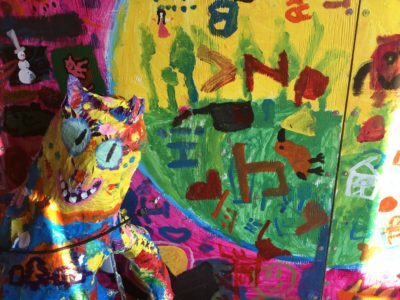 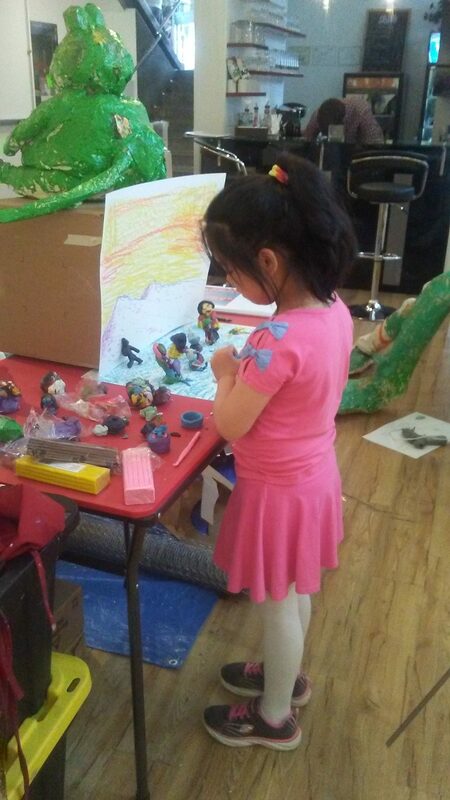 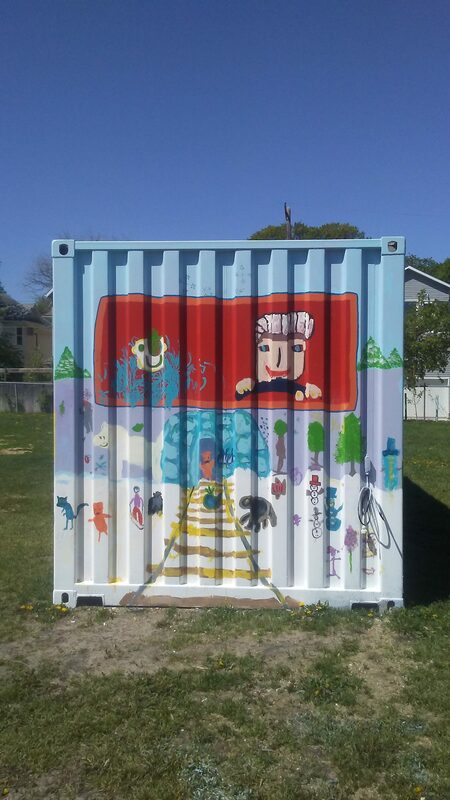 Every unique community contributed to the constantly developing and accumulating art project as we transformed the container into a passenger train car bursting with imagery and characters. 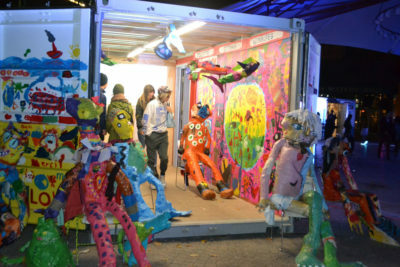 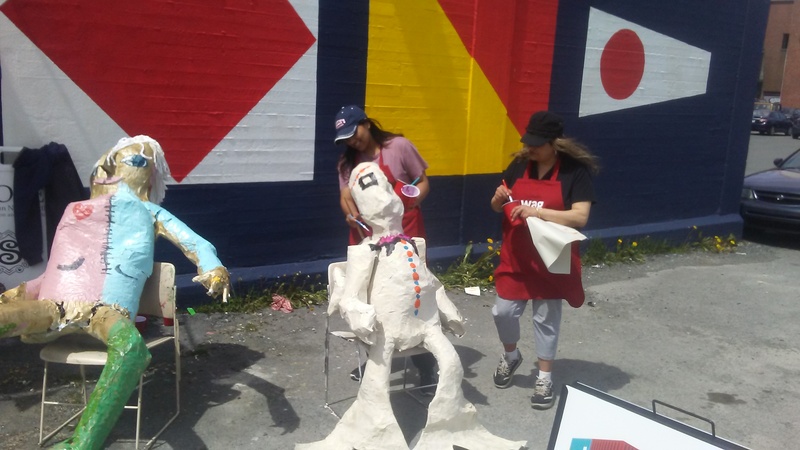 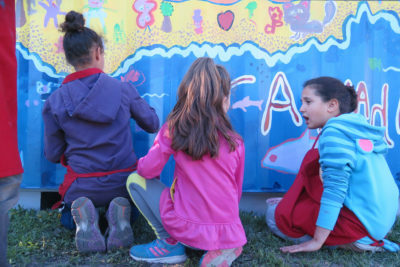 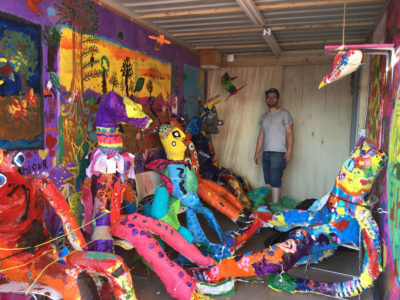 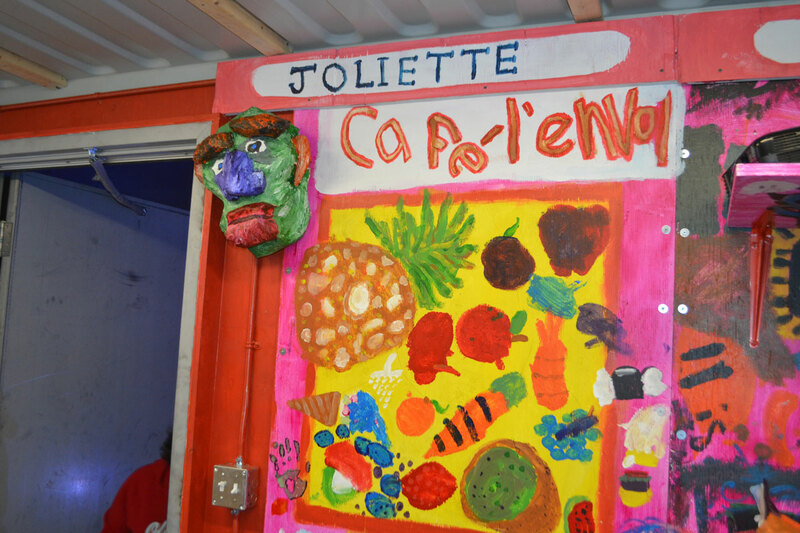 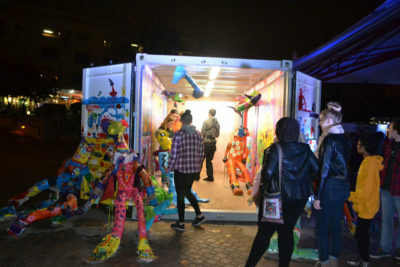 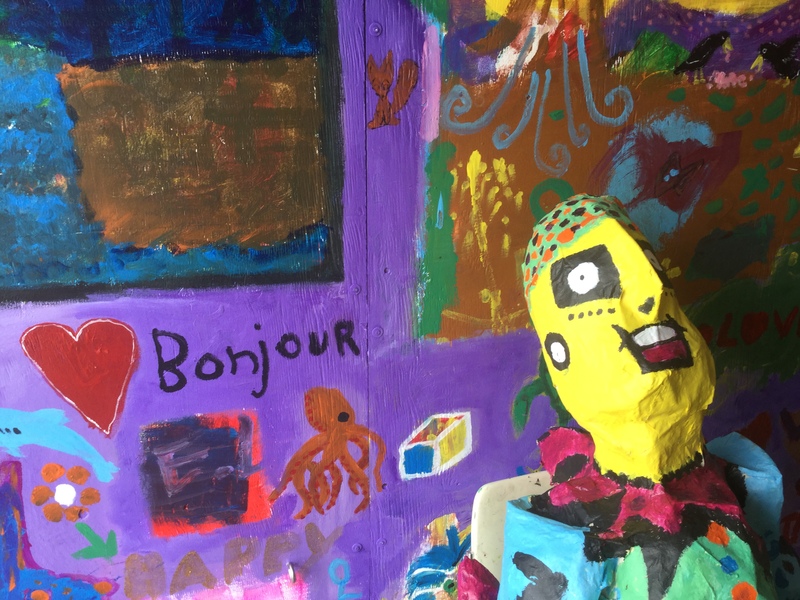 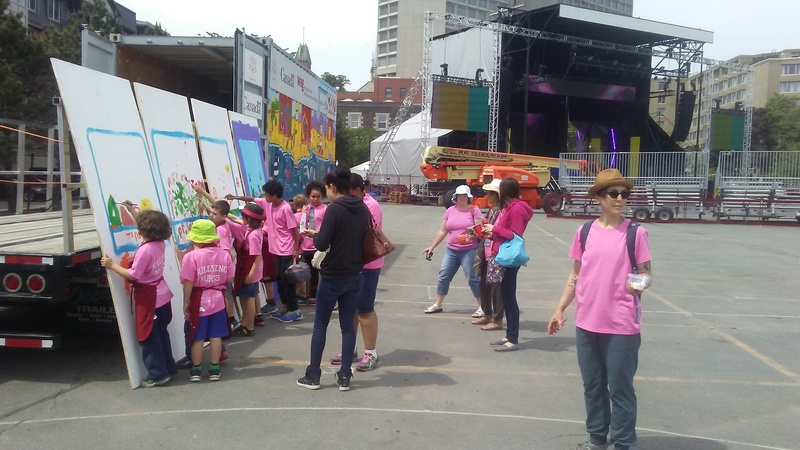 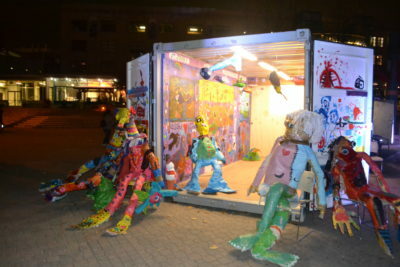 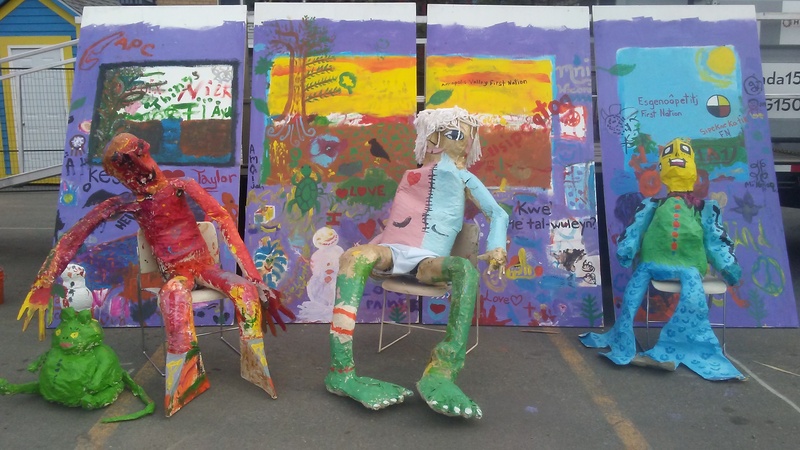 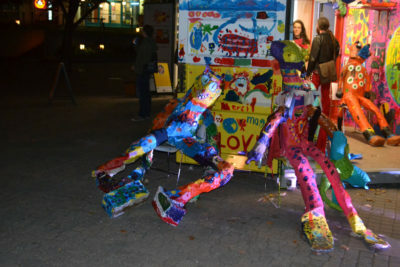 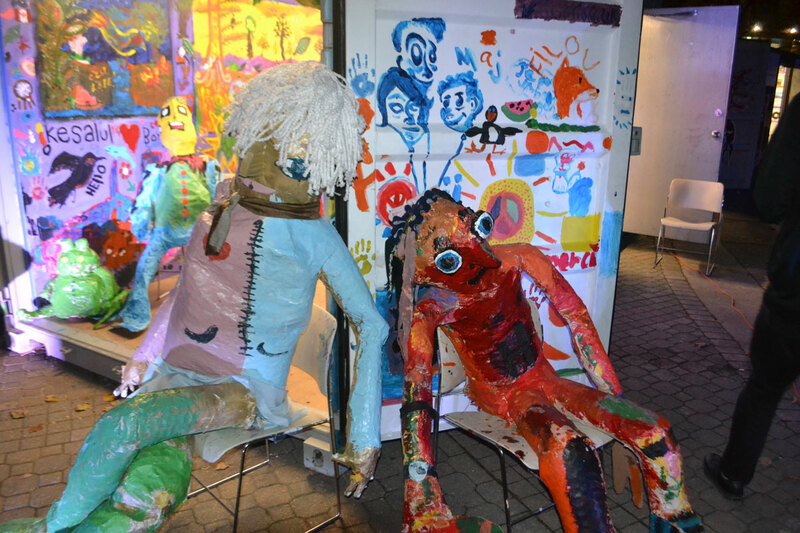 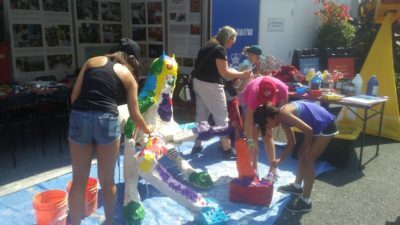 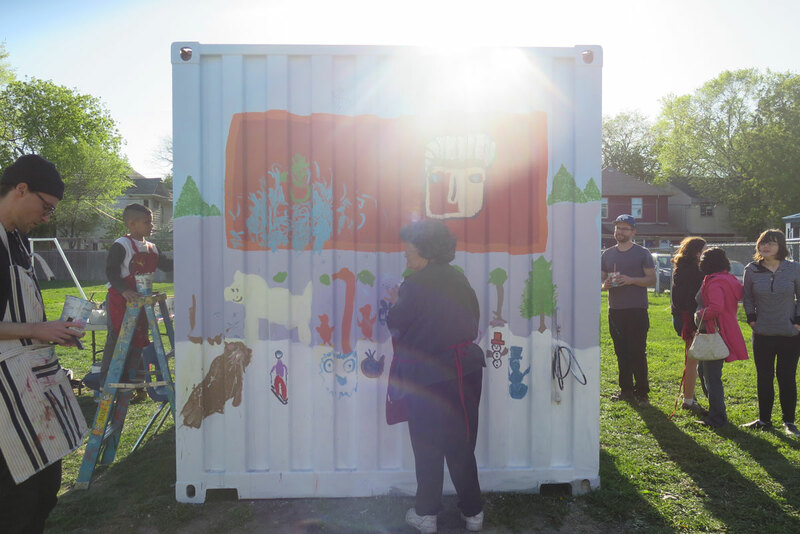 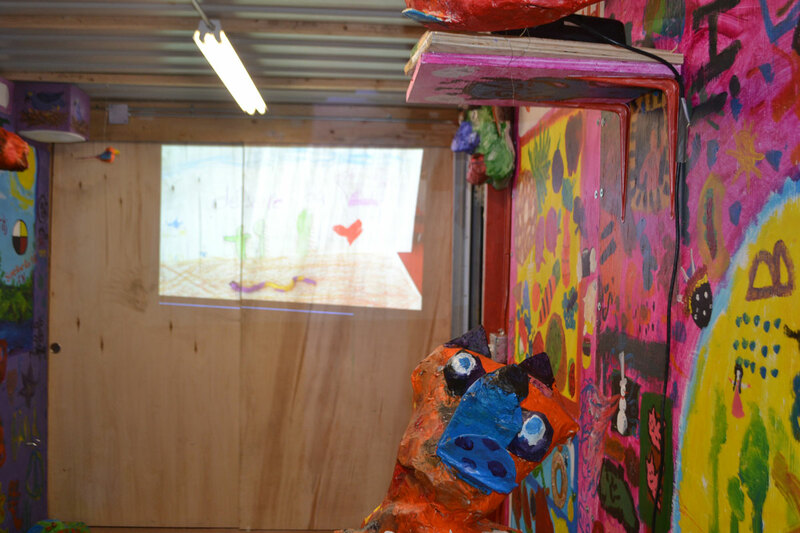 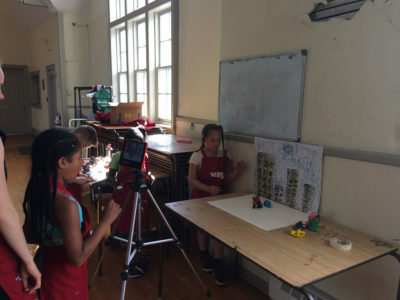 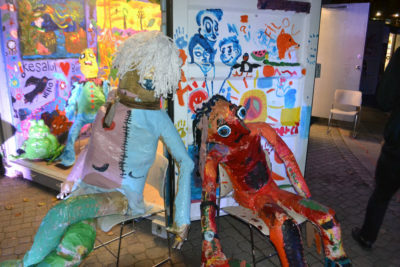 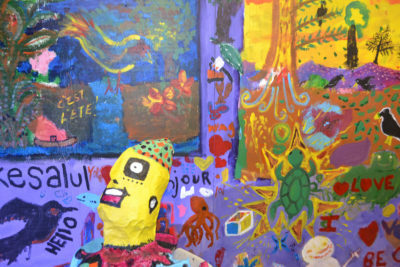 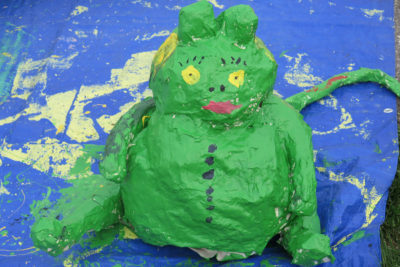 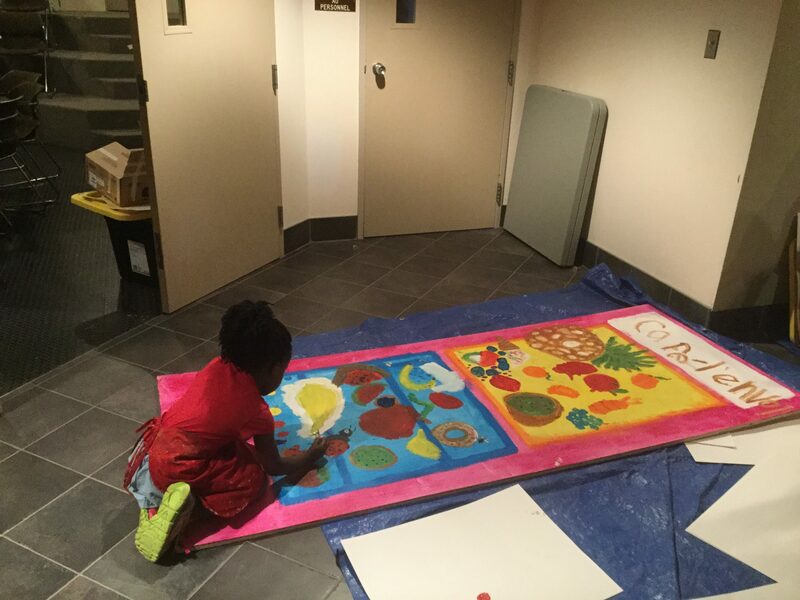 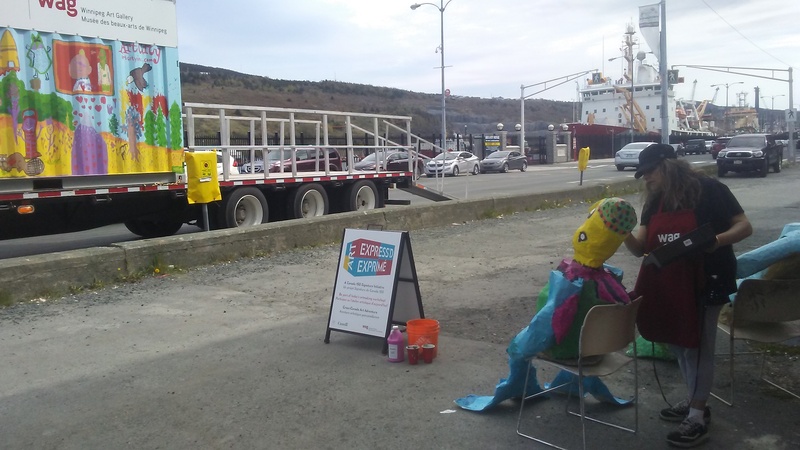 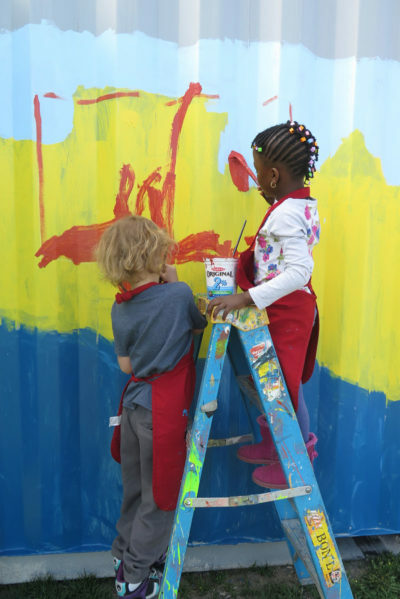 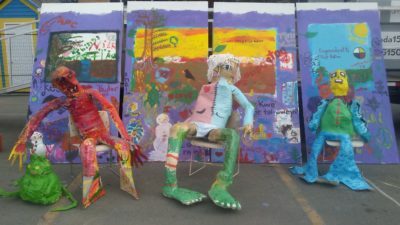 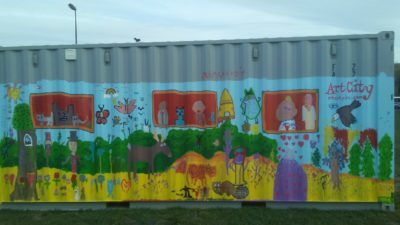 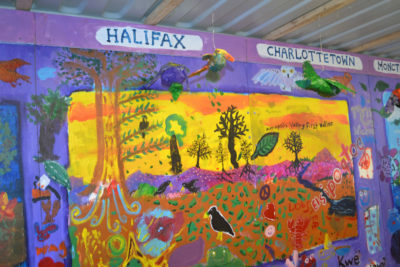 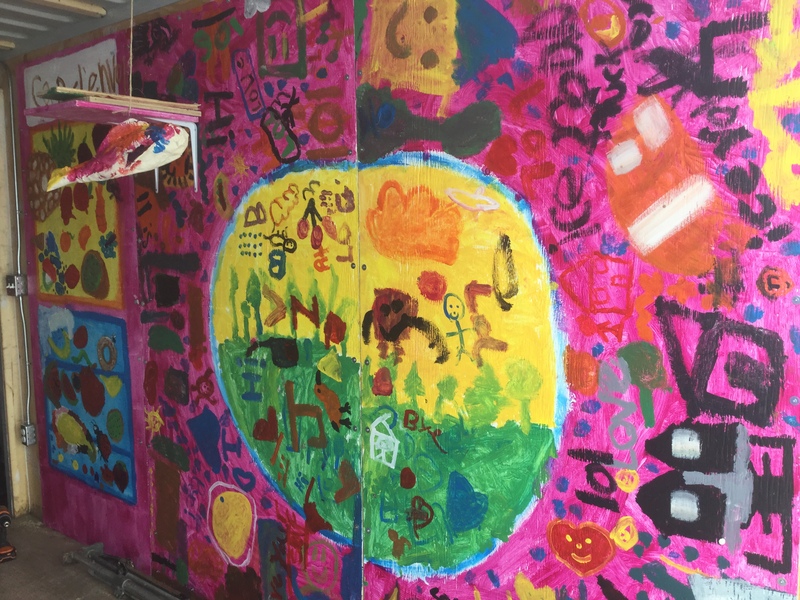 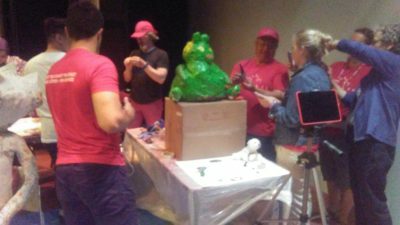 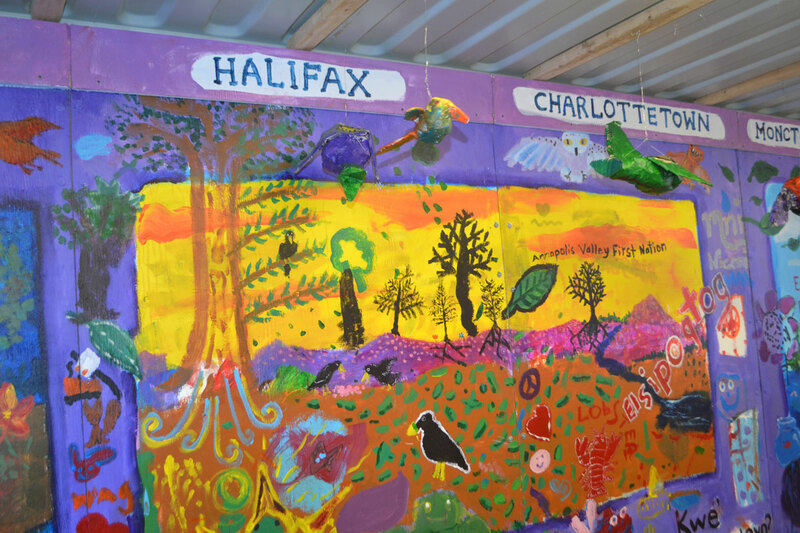 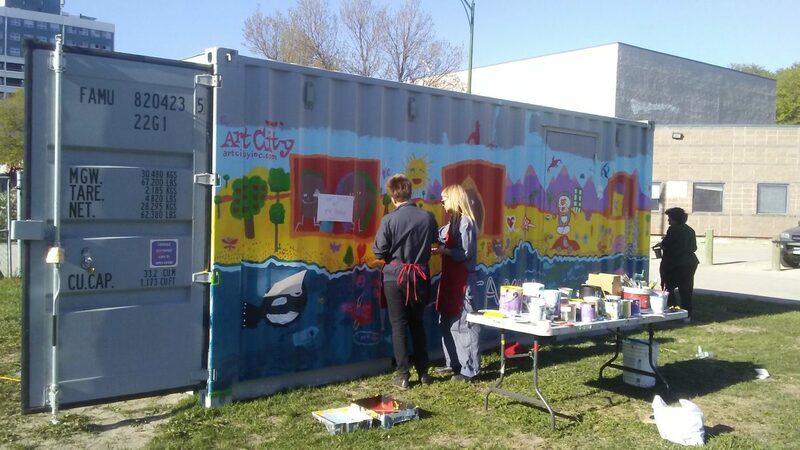 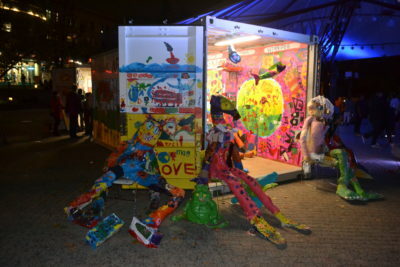 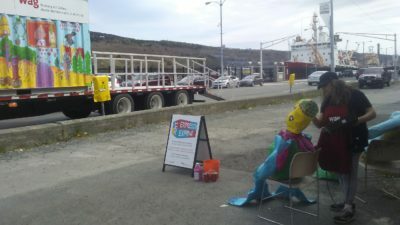 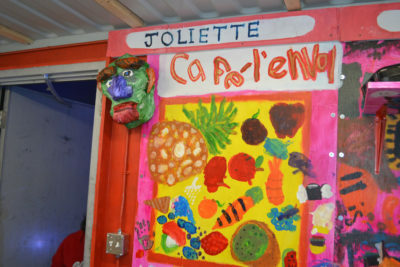 Participants covered the exterior and interior of the container in colourful murals and created many stop-motion animations that were screened inside the container. 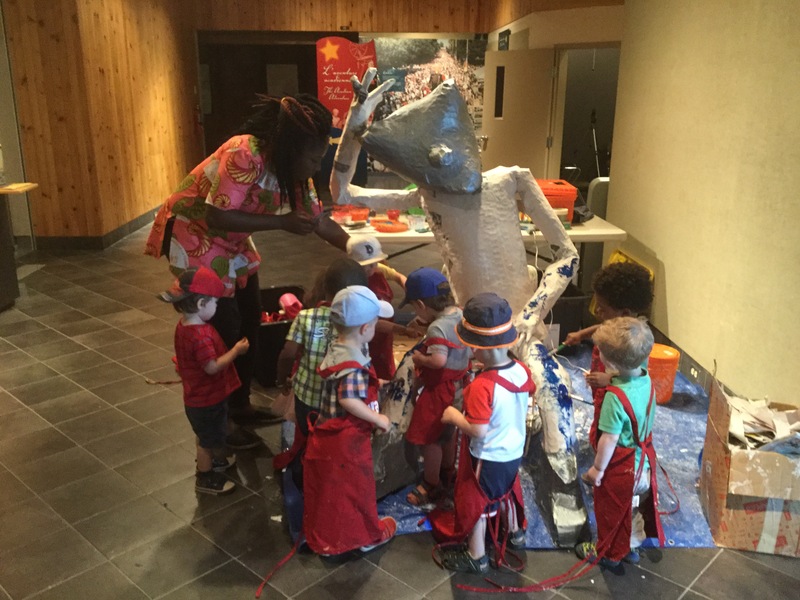 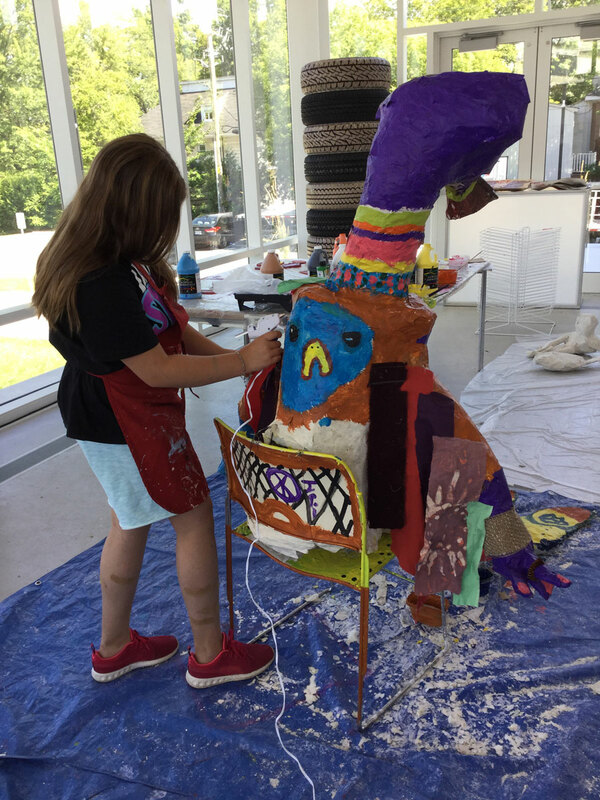 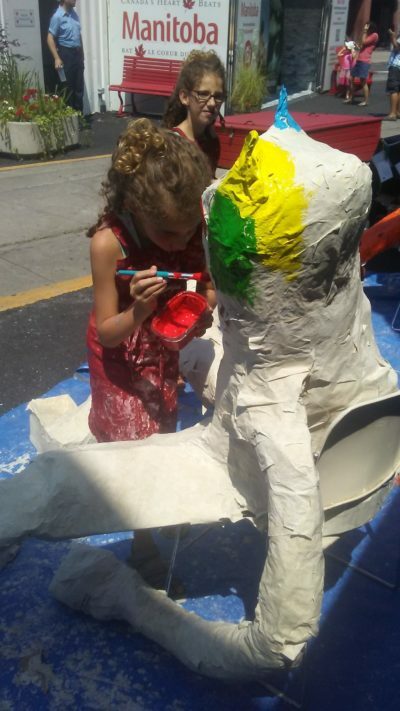 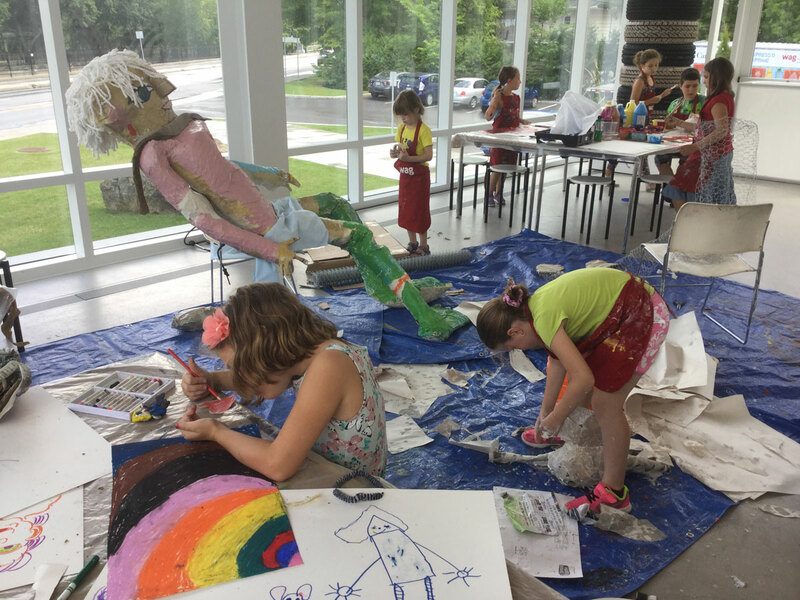 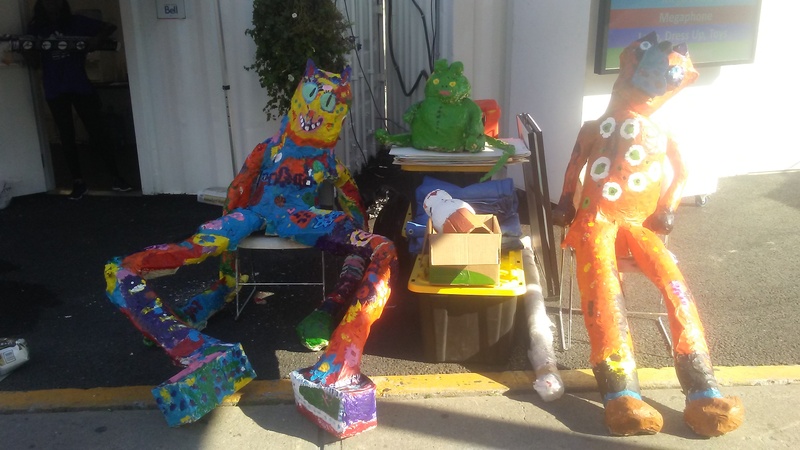 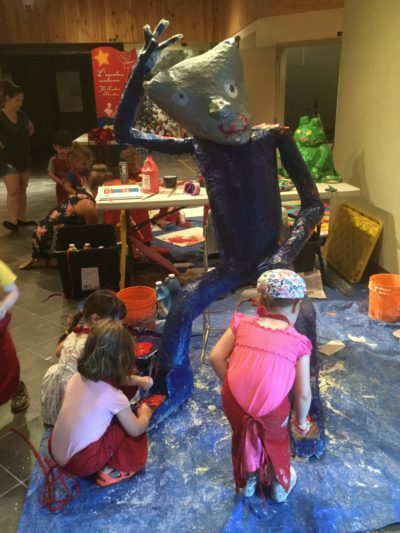 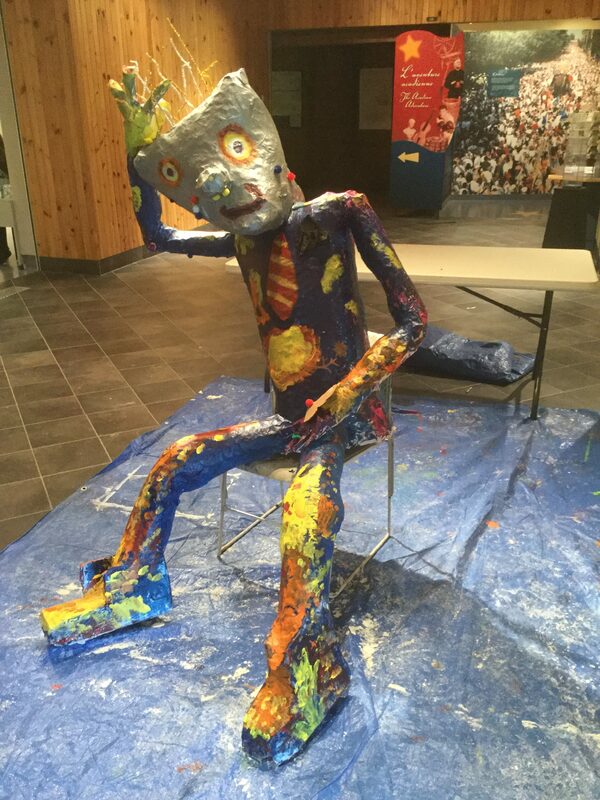 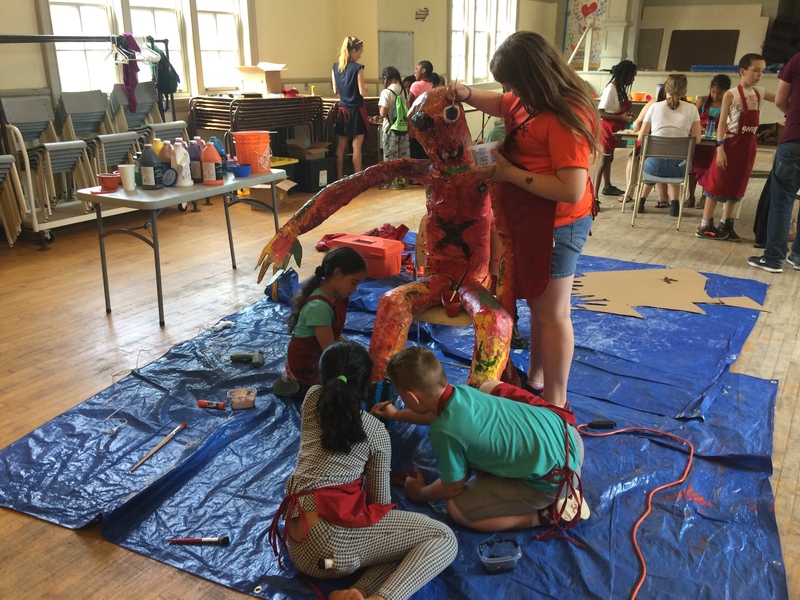 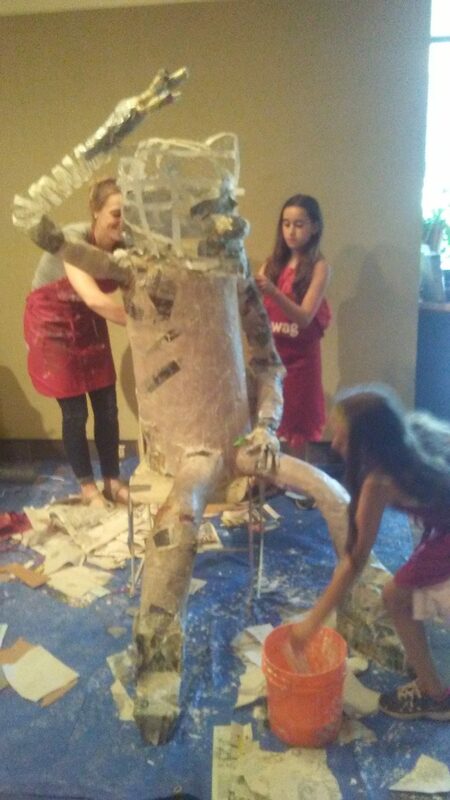 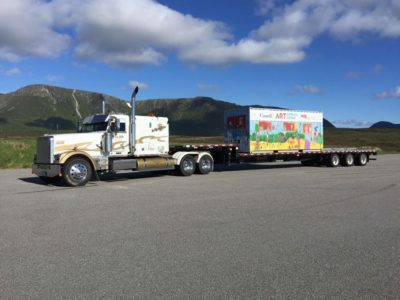 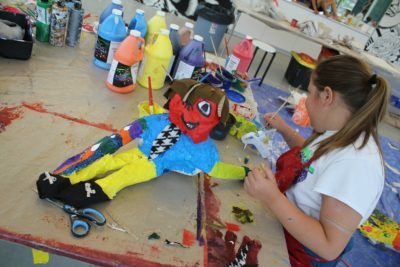 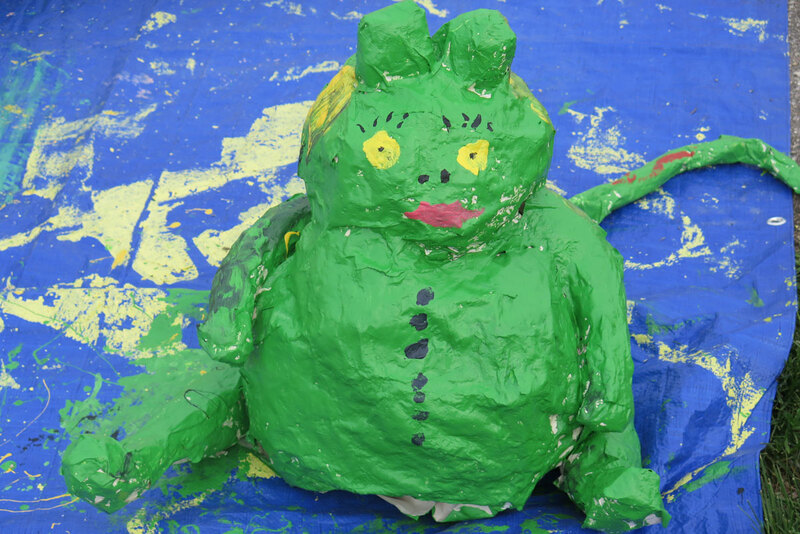 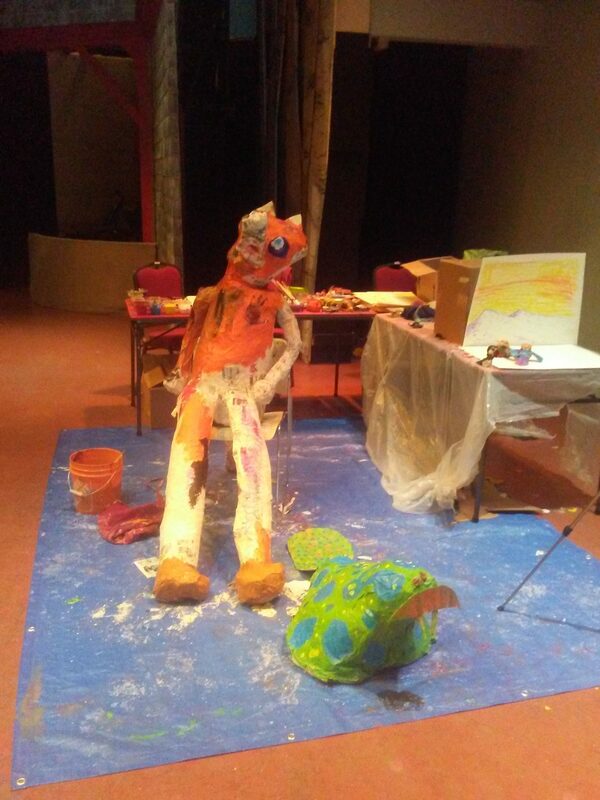 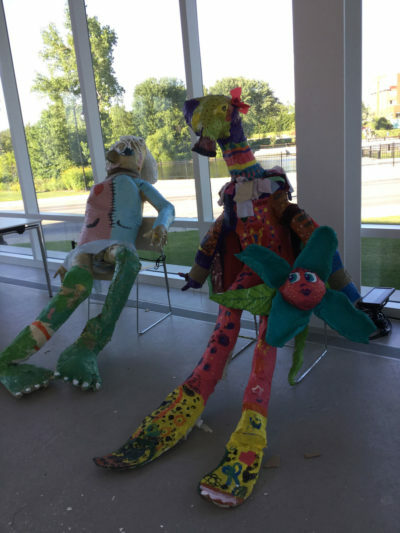 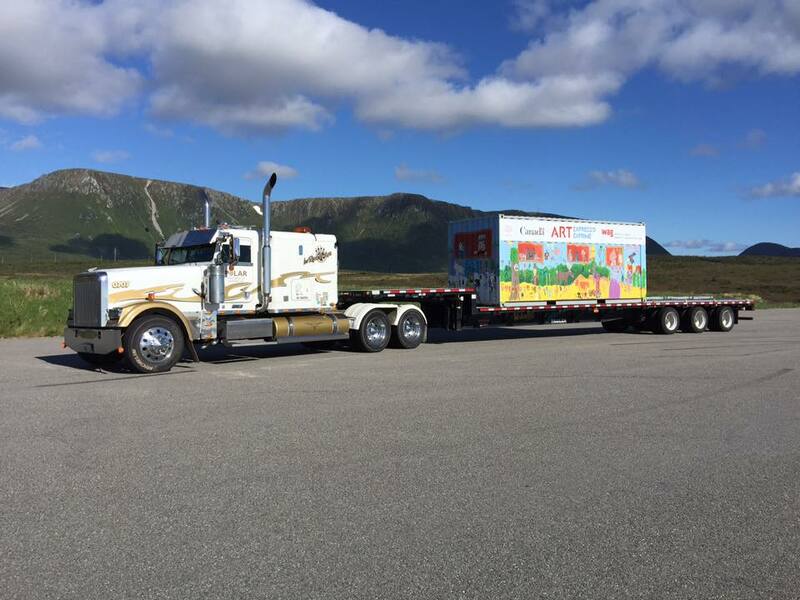 At each stop, each community designed and constructed one larger than life-sized passenger character to represent their community and continue on the journey. 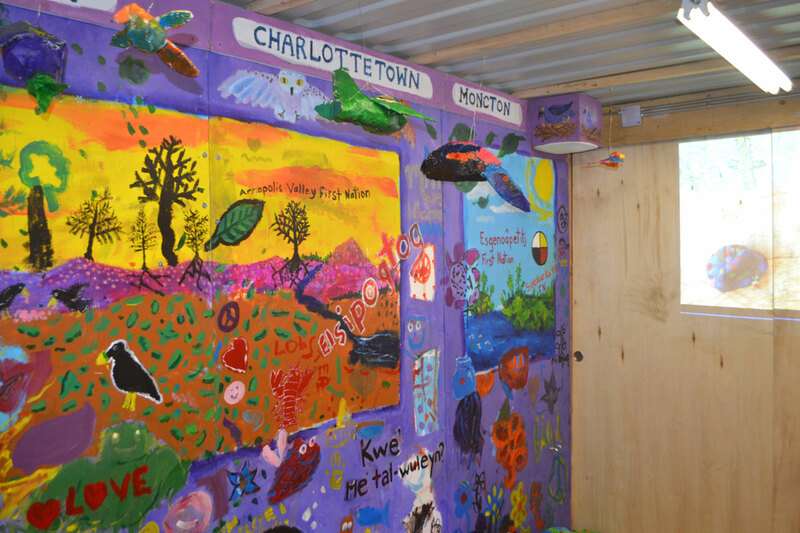 During the journey we visited and collaborated in the cities of St. John’s, Halifax, Charlottetown, Moncton, Joliette, Ottawa and Winnipeg. 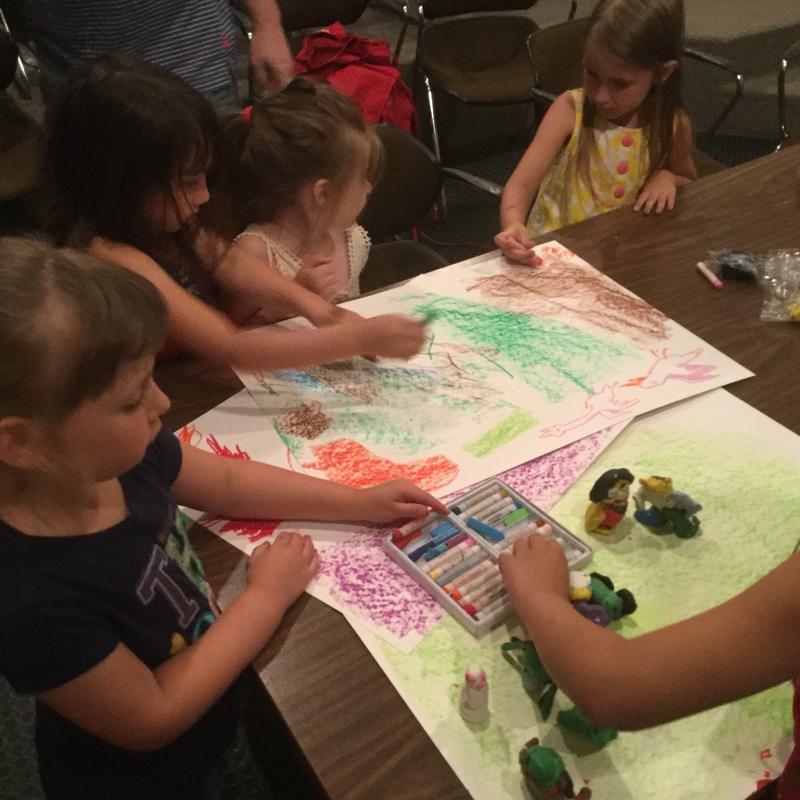 After approximately six weeks of workshops and travel the journey concluded in Winnipeg. 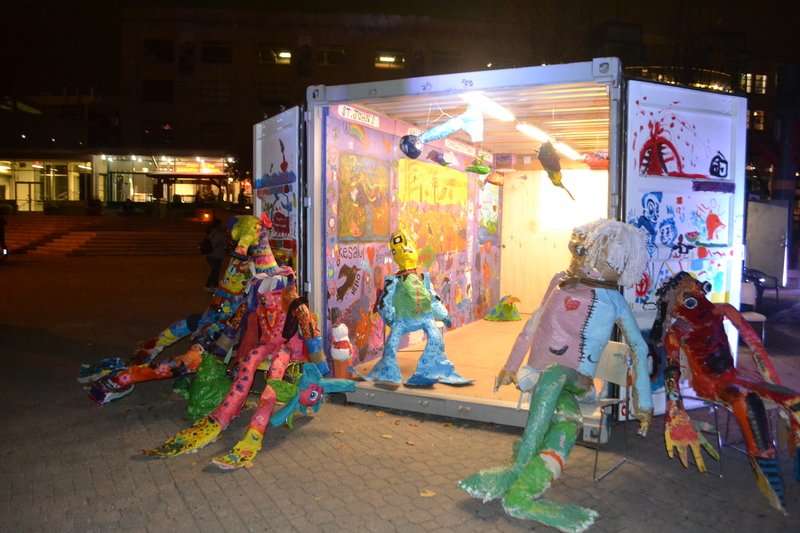 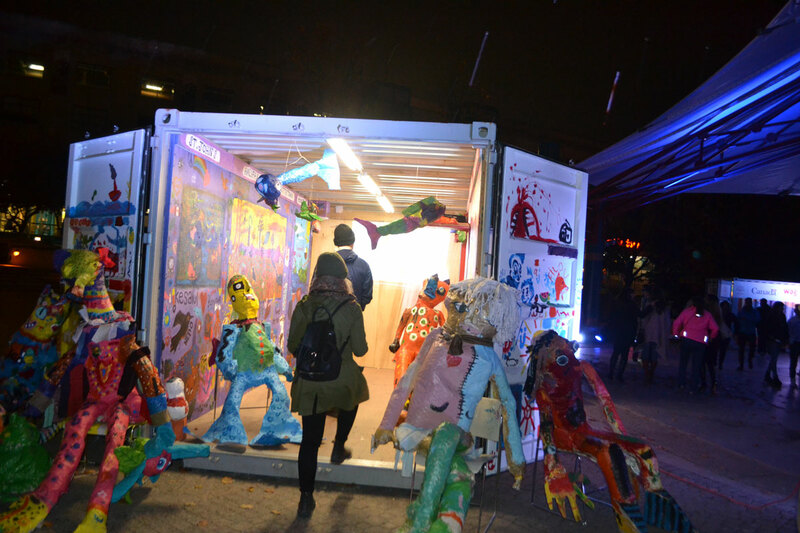 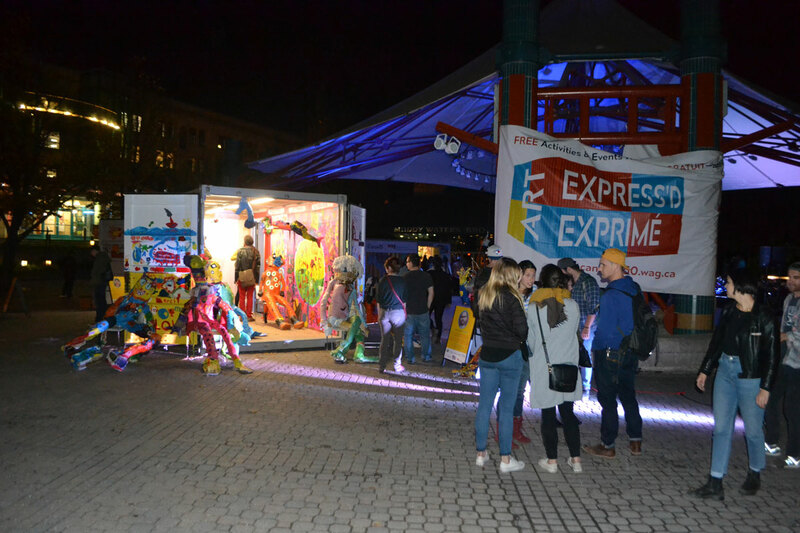 The completed containers were ultimately exhibited together for the public to experience during Winnipeg’s annual all night art festival Nuit Blanche 2017.